This recipe has evolved from two of my mother’s recipes. 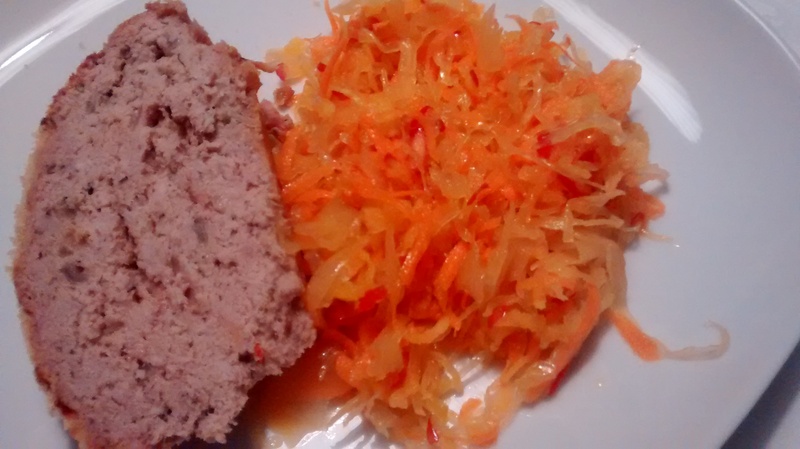 One was for klops – Polish meatloaf and the other was for the meat stuffing that she used in her roast chicken. The meatloaf would have been made in Poland with minced pork but often in England my mother used minced beef as it was more available. 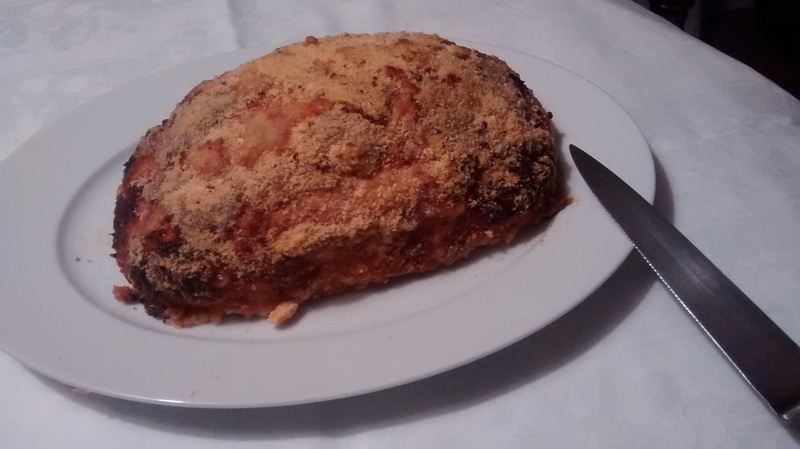 To this was added grated onion, bread moistened with milk, a beaten egg, salt & pepper; this was shaped into an oval shape and covered with dried breadcrumbs and baked in the oven. 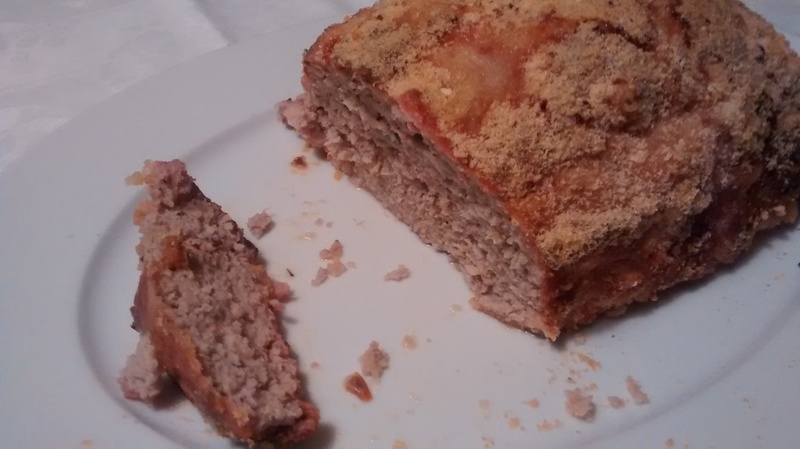 In many of the Polish recipes the meatloaf is baked in a loaf tin or a shallow roasting tray. I however like the open baked version as I love the crunchy breadcrumbs on the outside. The meat stuffing for chicken was originally made with minced pork, (if this was not available my mother used English style sausage meat) grated onion, bread moistened with milk, a beaten egg and salt & pepper and dried breadcrumbs were added to firm it up and this was used to stuff the chicken. As there was usually some left my mother would shape this, put dried breadcrumbs on top and bake this in the oven with the chicken. We always wanted to eat some of this and even liked the extra bit better that the actual stuffing because of its crispy coat. She started to make more of it so that we could all have some at dinner. My nephew and nieces called this Grandma’s meat. 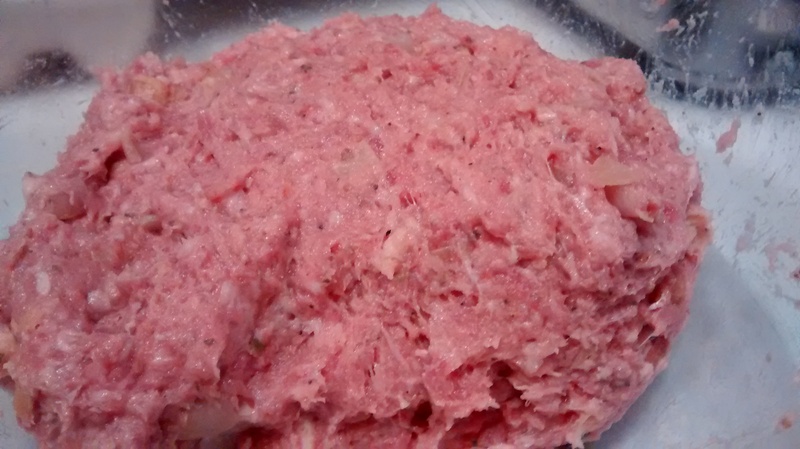 This extra stuffing has also evolved, the grated raw onion has been replaced by chopped fried onion ( though you can use both ) and now I use a mixture of minced pork and English style sausage meat. Luxury or Premium sausage meat is the best to use but often shops only have this available at Christmas, when it is in stock I buy quite a lot and freeze it for several occasions. Sometimes it is sold in 1kilogramme packs, I usually cut these into two or four and re-wrap. 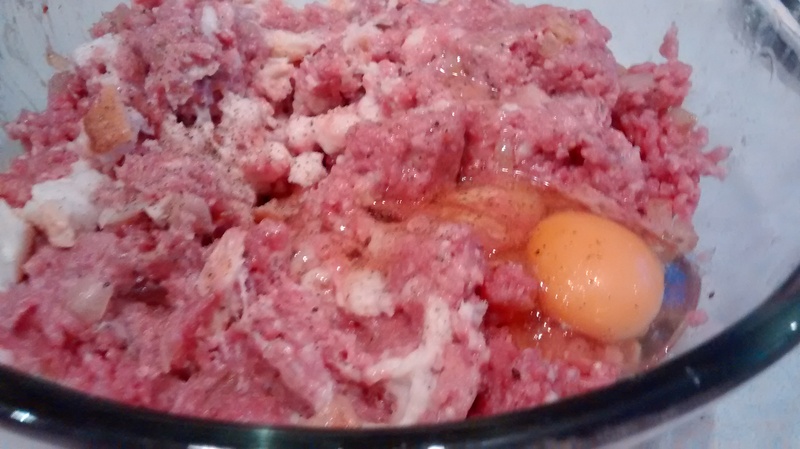 When I cannot get the luxury sausage meat I buy good quality pork sausages and remove the skins. Now when I have visitors for a roast chicken they always want to make certain that I will be doing a meatloaf as well, some say this is what they most look forward to eating on Christmas Day! None of the amounts given are exact; they are only for a guide. 1 slice of white bread – left for half an hour in a bowl with a little milk – do not use the excess milk. Lightly grease a thick baking sheet. In a large mixing bowl mix everything together except the dried breadcrumbs. Use your hands to get everything thoroughly mixed in. Add some dried breadcrumbs to firm up the mix as necessary. Shape your mixture on to the baking sheet making it into an oval shape rather like a bloomer loaf of bread – make it as high as you can. 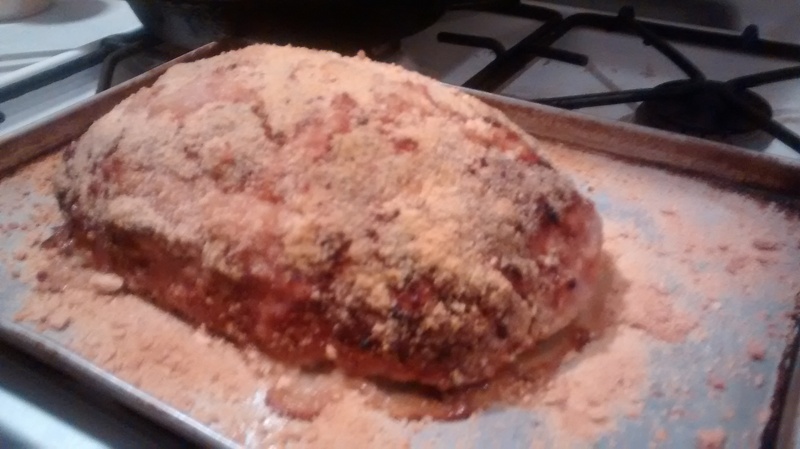 Cover the loaf with lots of dried breadcrumbs and place into the oven. It will take about 1hour 30minutes maybe longer – it needs to be done to a golden to very golden colour and the breadcrumbs will be crispy. Cut into thick slices to serve, any left can be eaten cold with a salad. If you have any left over and cannot eat it the next day or so – then it freezes very well – I wrap slices first in aluminium foil and then in a plastic freezer bag. Lovely to have recipe,what a memory it brought back. My son, aged 25yrs, has been asking for this recipe as he remembers loving it & wants to have a go at making it. This shows how much it is loved, even by the very young, remembering & wanting to be made by them. Mmm, can smell it just thinking about it. Definitely a hit. Or white beans may be.